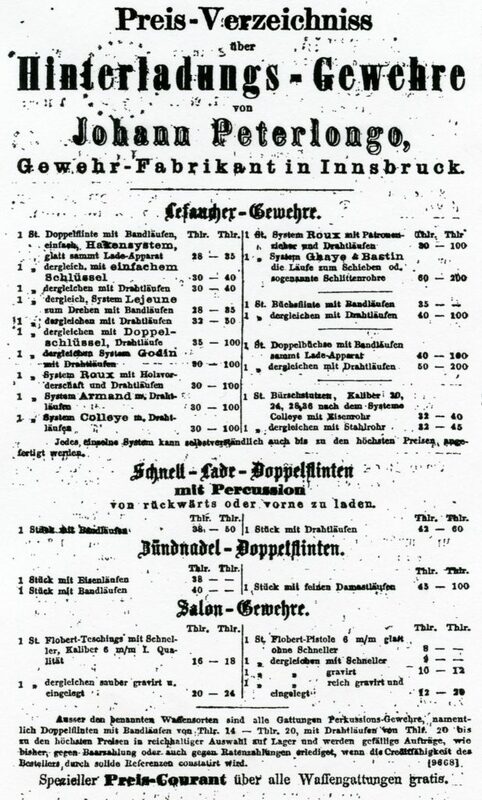 Johann apparently was one who believed in the power of advertising as the following ad’s will attest to. 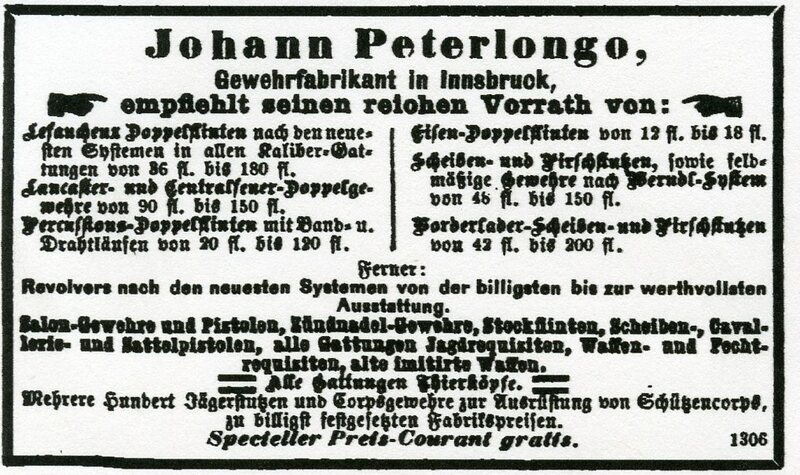 The earliest Ad I have found so far was 1861, a lengthy ad only seven years after he started his business. 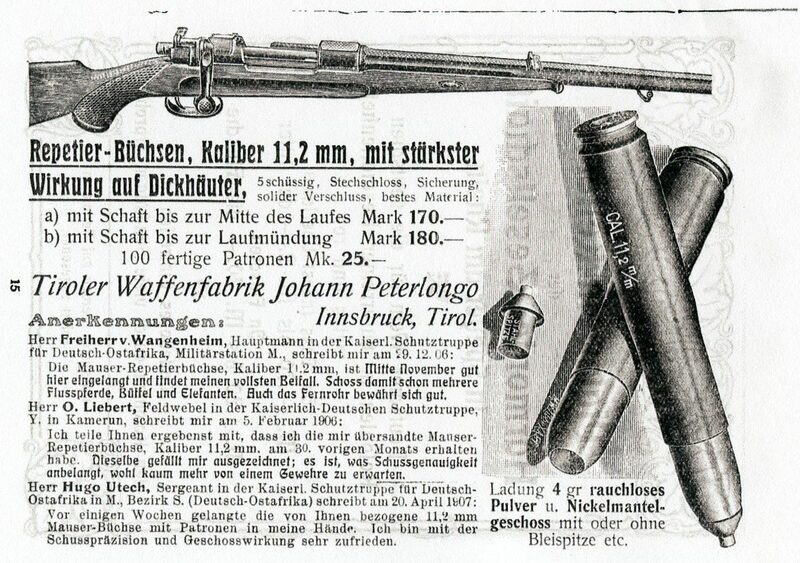 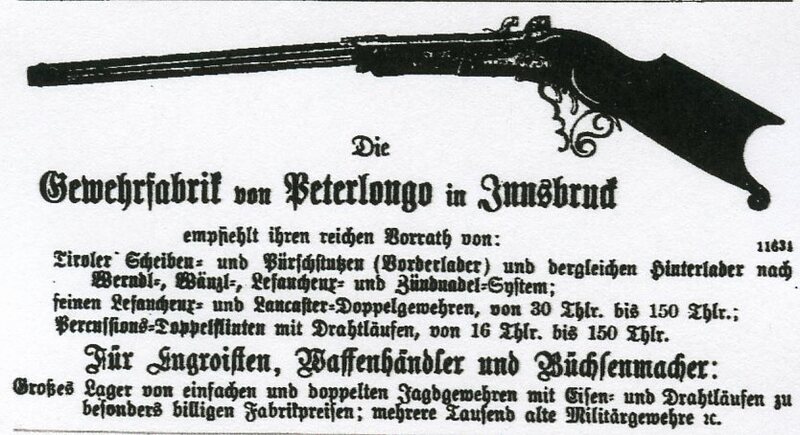 An advertisement from the Sept. 4, 1869 edition of the Illustrirte Zeitung showing that Peterlongo made Target and Hunting rifles using the werndl action. 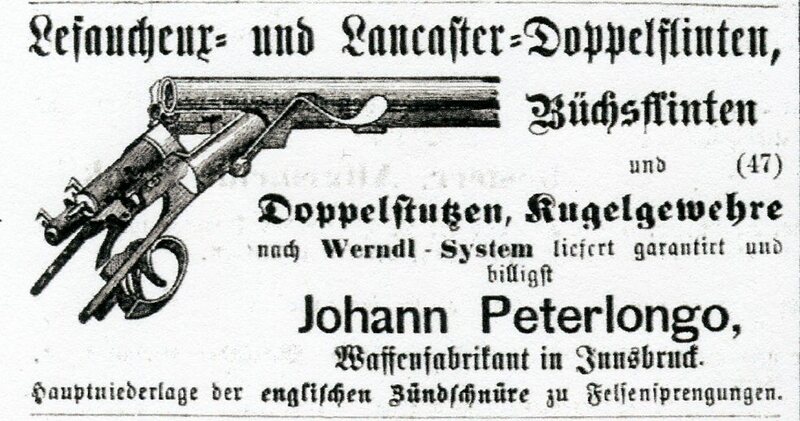 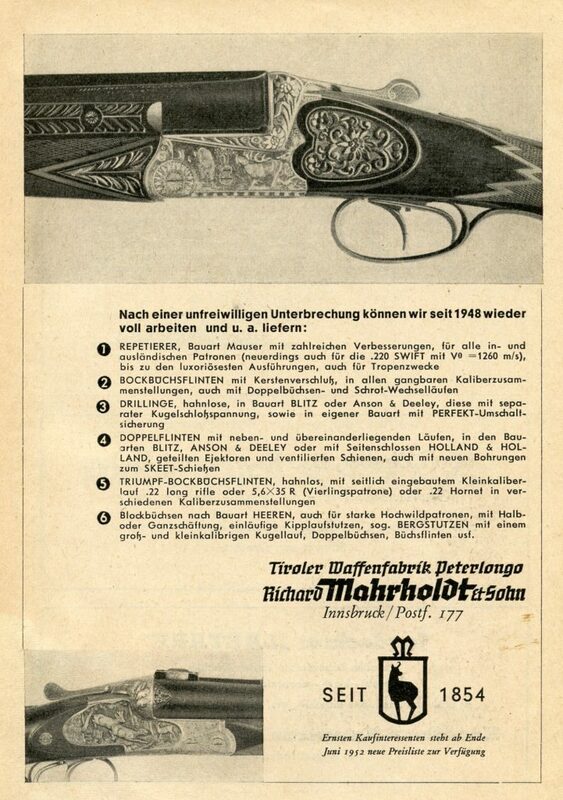 When Johann passed away in 1898 Richard Mahrholdt (1878-1949) took over the business and ran it as the “Tiroler Waffenfabrik Peterlongo, Richard Mahrholdt & Sohn” until 1918. 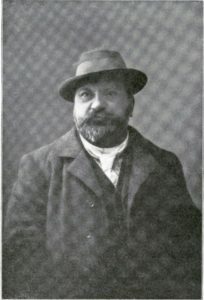 After 1918 and until his death he owned the Company. 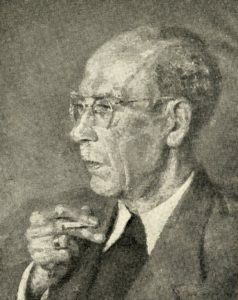 His son Herbert Mahrholdt and later his grandson Erwin also were involved with and ran the Company when Richard could no longer do so. 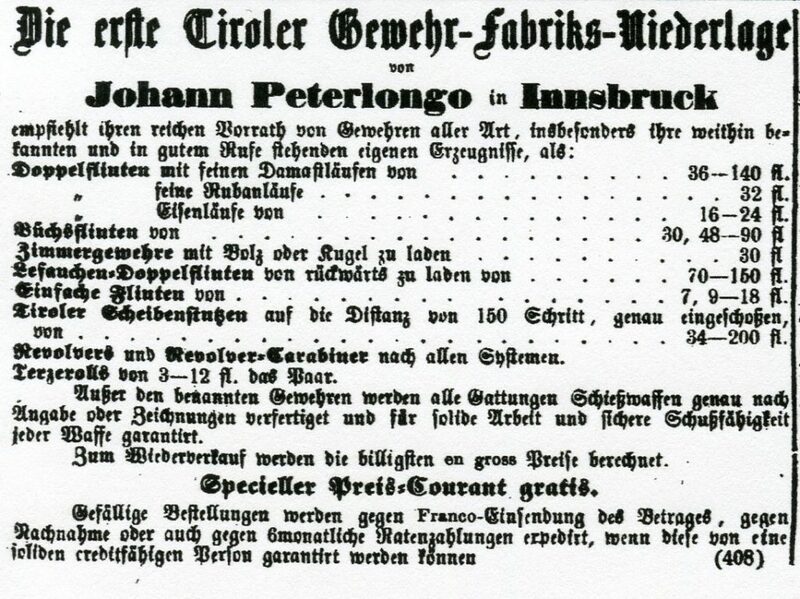 The Company closed in the 1970’s after approximetely 115 years in business. 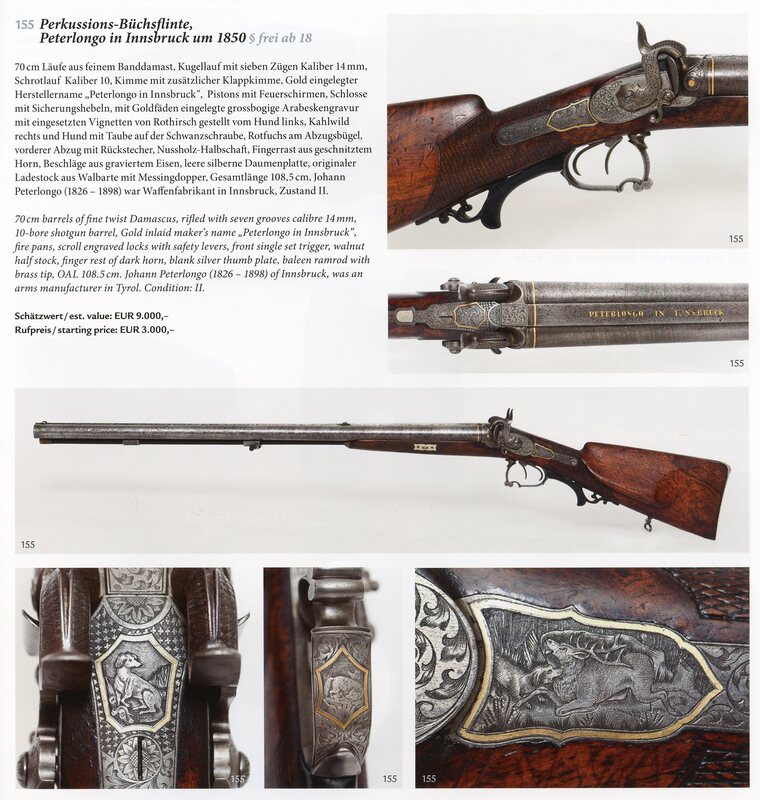 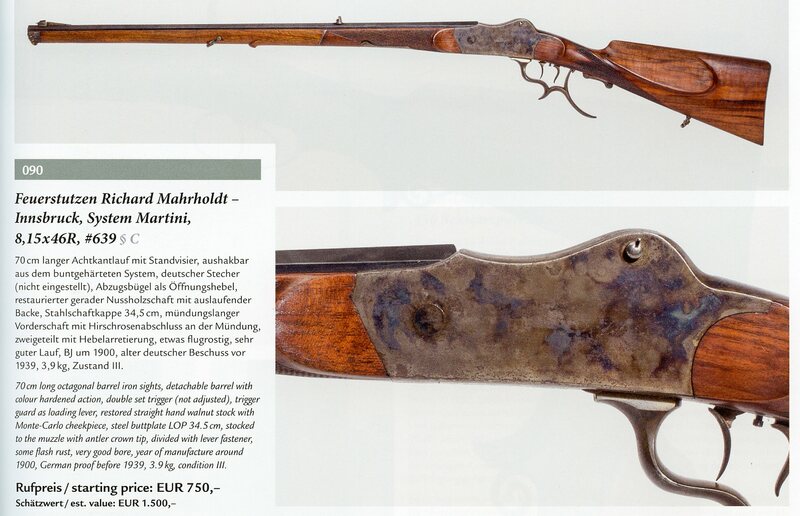 Below are several views of a Drilling made by Franz Jaeger of Suhl, Germany and sold by Peterlongo. 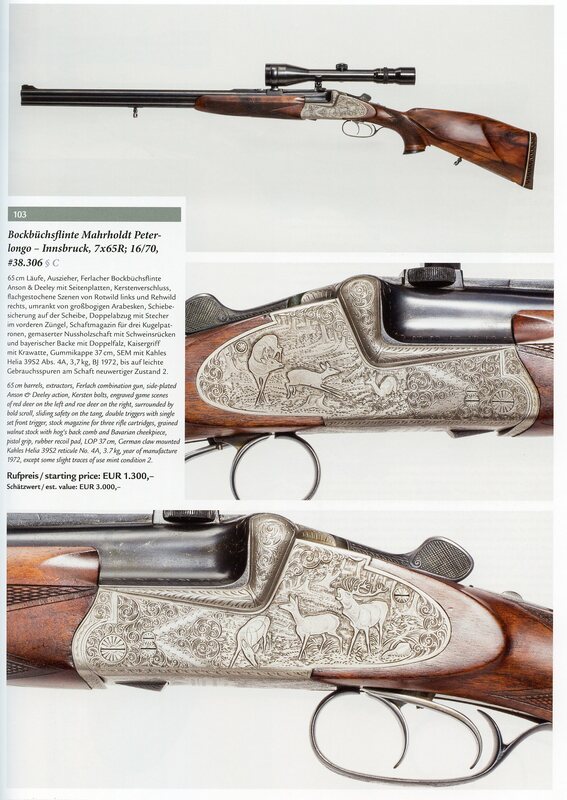 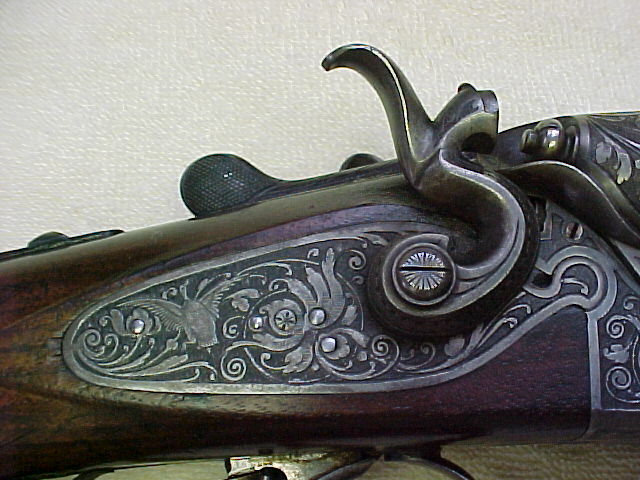 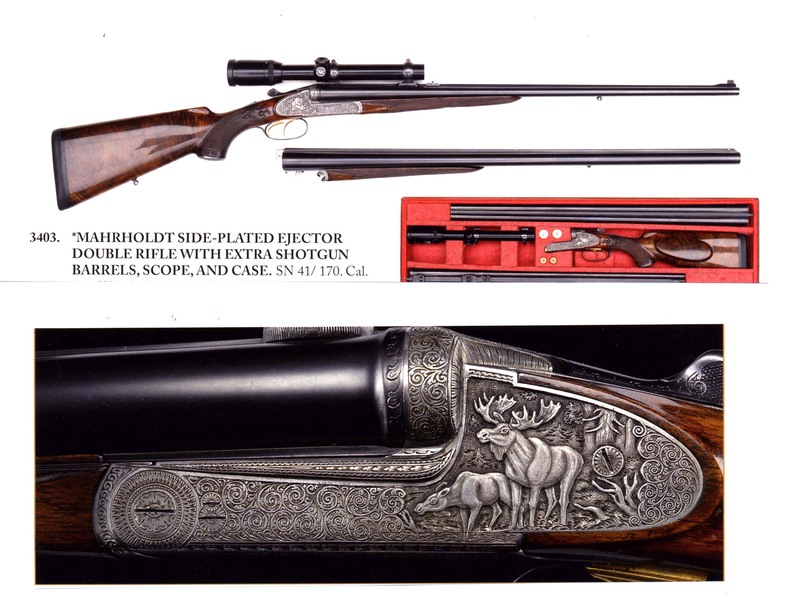 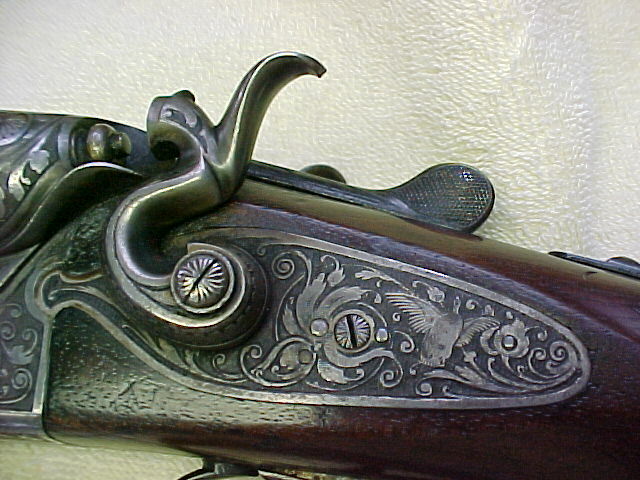 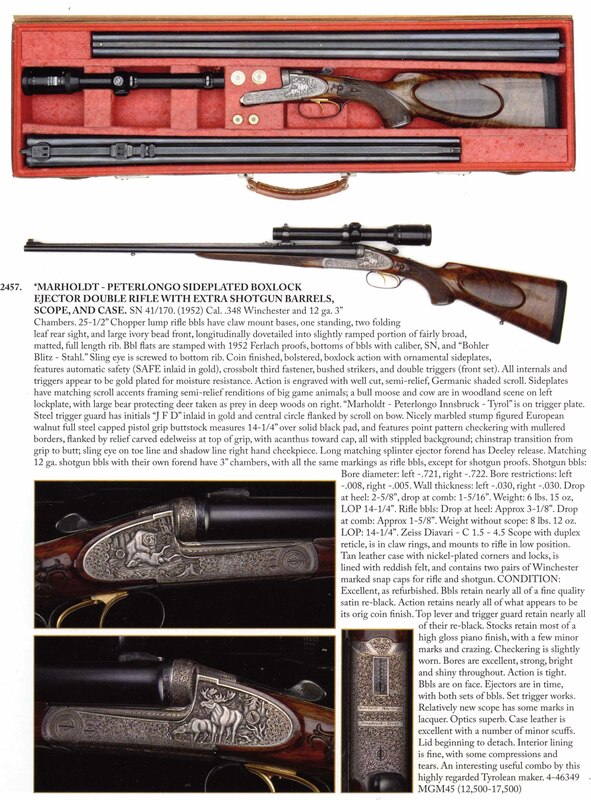 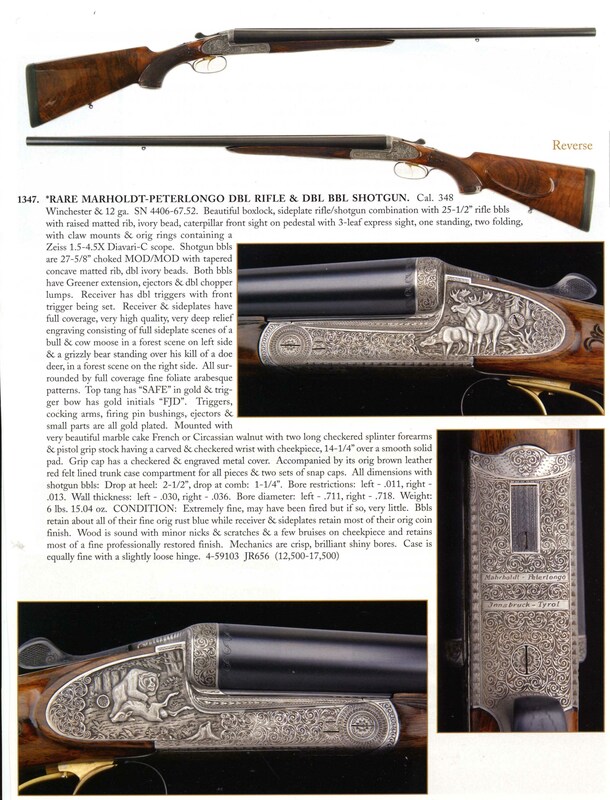 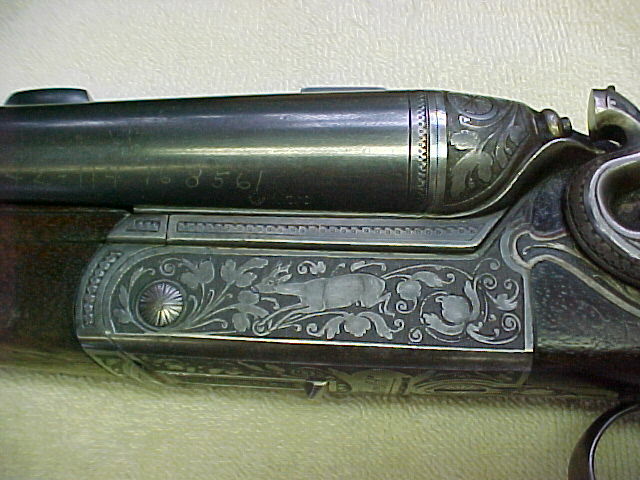 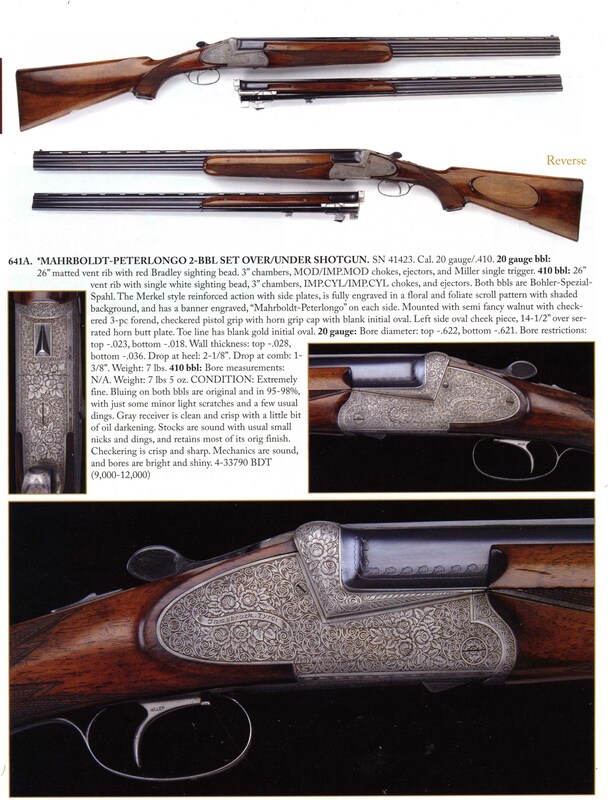 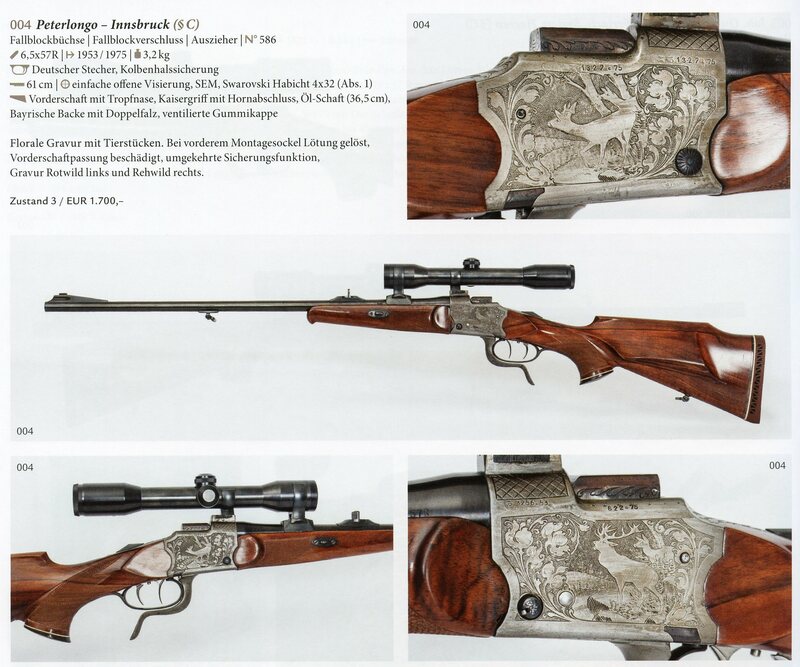 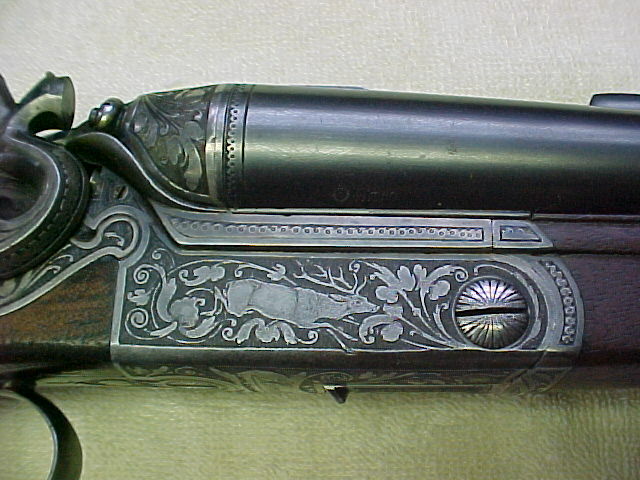 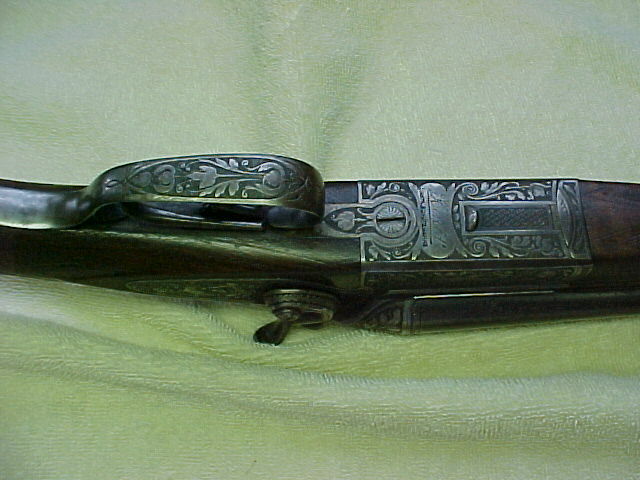 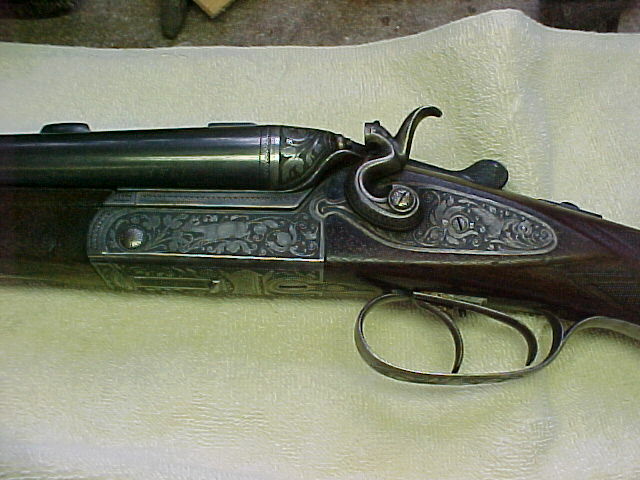 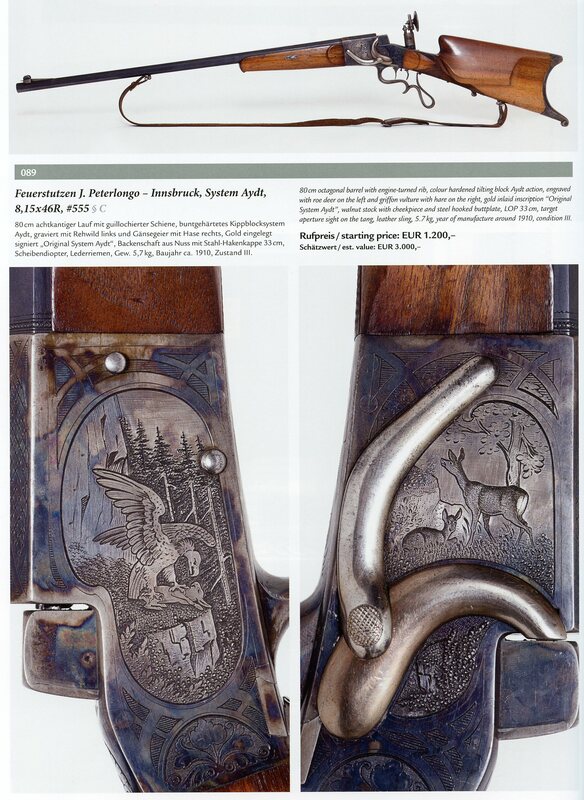 The following images of Peterlongo guns are courtesy of James D, Julia Auctions.